Dimensions 7.20 by 9.40 by 1.40 in. 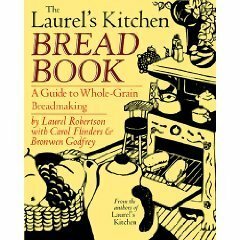 Amazon.com description: Product Description: The original, classic cookbook devoted to baking honest, delectable and nutritious whole grain breads. In a special section, the author has compiled a comprehensive and meticulous breadmaking "handbook".